Posted 1:59 pm by Mike & filed under Raised Beds & Gardening tips. The peppers are finally staring to fruit. 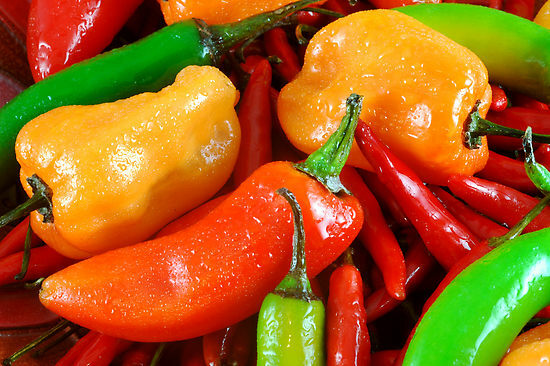 Try coating your fingers with cooking oil (or put on gloves) before you cut into hot peppers so the heat doesn’t radiate into your skin. Fingers will be slippery so use extreme caution when cutting them. Also note the heat from them might be inhaled inadvertently so take precautions. It’s worth noting that I learned all of this the hard way but man, are they delicious!